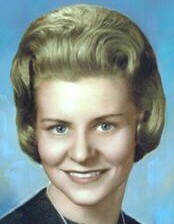 Louisa I. Brickner, 82, of Tiffin, passed away Thursday morning, January 17, 2019 at St. Vincent Mercy Medical Center, Toledo. She was born on December 5, 1936, in Detroit, MI to Bernard and Lorene (Keller) Michaels and was raised by her foster parents, Harold and Loretta Collett. On May 7, 1966, she married her best friend, John Brickner. Survivors include her husband, John of Tiffin; son, Matt John Brickner of Tiffin; daughters, Anne (Christian) Klauke of Rochester, MI, Jennifer Brickner of Naperville, IL and Beth (Scott) Sauppe of Temperance, MI; brother, Larry Michaels of Fostoria; sisters, Ruth (Richard) Downs and Barbara (Louie) Borer of Tiffin; five grandchildren, Alex, Cameron, Jacob, Claire and Maxwell. She was preceded in death by her parents; and brothers, Charlie Michaels, Jim Michaels and Don Sietz. Louisa graduated from Tiffin Calvert High School and Mercy School of Nursing. After nursing school, she moved to San Francisco, then to Connecticut and back to Tiffin. She worked at Tiffin Mercy Hospital for over 20 years and later retired from St. Francis. She was a member and volunteer of St. Mary Catholic Church and volunteered at the Soup Kitchen at St. Paul United Methodist Church. Louisa enjoyed knitting and sewing handbags, belts and scarves to sell at her daughter’s on-line store. She also enjoyed crocheting, praying the Rosary and spending time with her husband, children and especially her grandchildren. Louisa was always helping others and was a “mom” to everyone. Her Funeral Mass will be at 1:00 P.M. on Monday, January 21, 2019 at St. Mary Catholic Church with Rev. Anthony Coci officiating. A Rosary will be prayed 20 minutes prior to Mass. Burial will follow in St. Mary Catholic Cemetery. Friends may visit with the family from 10:30 A.M. until 12:30 P.M. on Monday at Hoffmann-Gottfried-Mack Funeral Home & Crematory, 236 S. Washington St., Tiffin, Ohio 44883, 419) 447-2424.